It's Talk Like William Shatner Day! And you get a free lesson! 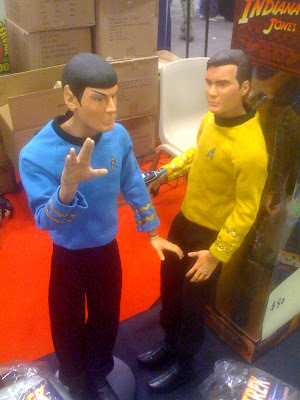 They don't seriously expect me to believe they're over their mancrush on Shatner, do they? Ever since I called them out on it, they're deliberately leaving him off lists he belongs on. Entertainment Weekly, you're not fooling anyone. You! are! PWNED! 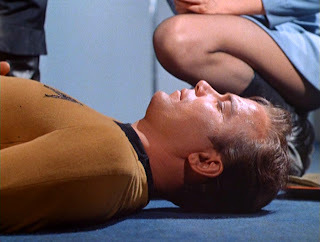 Bill is thinking, "I can play dead with my downstage eye and look up Majel's skirt with my upstage eye. I'm such a good actor." Back in the day, there was a story that the New York Post had the headline "JUDY ATTEMPTS SUICIDE" permanently set in type. For you young 'uns, it was a snarky reference to Judy Garland's frequent suicide attempts. Harlan Ellison, writer of the award-winning City on the Edge of Forever original series episode, filed suit against Paramount on March 13 for failing to account to, or pay Ellison for the merchandising, publishing or any other exploitations of his famous teleplay. Oh, Harlan. I bet you wish you could use the Guardian of Forever and unwrite that episode. Or would your massive ego prevent you from doing so? And fan-analysis of that ilk. Oh, love them to eat them fanboys, fanboys what we love to eat, bite they little heads off, nibble at they tiny feet! C'mon, EVE spotters! You can dop it! Look at the spiffy bottle and box! "Because tomorrow may never come" Snerk! 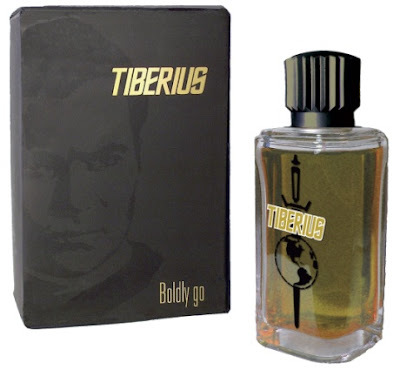 No picture yet of Pon Farr, which is supposed to be a *female* fragrance! Pike vs. the Talosians. Click through here for more fantastic Lego goodness! This is too funny. I never thought about how Bill would freak out about the SNL "work ethic", being the consummate professional what he is. And of course he gave it 110% and "Get a Life" is now part of history. Spock looks like Leonard Nimoy, but Kirk looks like...Martin Sheen? These are big, about 24" tall.